Hello! I’m Karissa Skirmont, and I am obsessed with all things purple. I know that people like to deal with people, not just some faceless company. In 2005 I started Kissa’s Kreations, a website and graphic design company for Entrepreneurs. 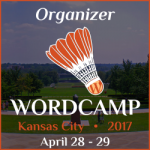 I’m an organizer for my local WordPress Meetup Community www.WordPressKC.com and annual WordCamp conference http://kansascity.wordcamp.org. 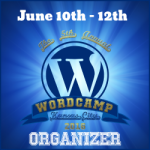 I help my clients with websites, graphic design, social media, marketing and branding consulting. In a nutshell, I help small business owners! If that’s you, Contact Me to discuss your needs. I started my life early. At 3 months to 15, I got married and was married for 12 years. I have Polycystic ovary syndrome (PCOS) which makes it hard to lose weight and have children. As soon I turned 18 I was a made Shift manager at Burger King after working there for 3 years. 6 months later I bought my first house. At 21, I started my business. I love the mountains. Every time I see them on TV on art, I get such a feeling of peace. I have a tattoo on my back of 5 columbines and 2 hummingbirds. Karissa Skirmont is an entrepreneur who works with individuals, business owners and those in Direct Sales worldwide. 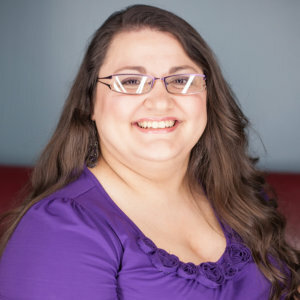 Her skills include: developing websites, graphic design, brand development, social media consulting, email marketing, audio & video support, computer support, online systems setup and structure, networking with others, training and coaching on an extensive list of techniques, and much more. If it is online or on a computer, Karissa can do it. But her true passion is simple: helping others. Since starting her company Kissa’s Kreations in 2005 at the age of 21, Karissa has helped support hundreds of Mary Kay National Sales Directors and Sales Directors, authors, speakers and entrepreneurs to get an established and successful online presence. Having developed over 200 websites in the past few years, Karissa has a clear understanding of how a website needs to function in order to generate sales and produce long-term clientele. She works closely with her clients to build a strong, branded social media presence and also helps coach each client on which manageable action steps to achieve their online goals. Her prestigious clientèle includes many multi-millionaires, including the #5 World Wide Elite Executive National Sales Director in Mary Kay Cosmetics Inc. and the #4 Executive Director in Miche Inc.
Karissa is a driven, meticulous and very strategy-oriented individual. 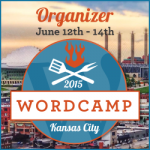 Her passion for all things tech make it easy for her to utilize and navigate the online world. DISC (D/CS), Briggs Myers/16 Personalities (ISTJ-A), How To Fascinate (Secret Weapon), Enneagram (Type 1), Ayurveda (Kapha), Clifton Strengths Finder (Deliberative, Learner, Strategic, Input and Achiever), Emotional Fingerprint (Control, Overcoming, Free & Independent, Recognition, Solving Problems, Goals, Experiencing Life) and Human Design (Projector – Spenic 5/1) . In her business, Kissa’s Kreations, she ‘Empowers Entrepreneurs to See their Vision Come Alive Online.’ She does this through website development, business branding & graphic design, social media consulting and by using emerging technologies to fully leverage their time and resources. Karissa was born in Colorado and lived in the mountains above Boulder and Golden, Colorado until she was 9 years old. To this day, she has a connection to the Rocky Mountain region and dreams of moving back. The name may seem whimsical, but it came from a very “practical” source. When Karissa was young, her cousins always called her “Kissa” since they were unable to pronounce her name. Even now, her niece and other small children call her by that nickname. The logo of Kissa’s Kreations is made up of the Colorado state bird and flower–the Rocky Mountain Columbine flower and the hummingbird–which is reminiscent of the state where Karissa was born and raised until she was 9 years old. Purple, of course, is Karissa’s favorite color…!